Here we have got some good news for all those disappointed people who long awaited to buy themselves a Google Nexus 4 but the Google Play Store went out out of stock.. The Google Play Store suggested all those people to approach the T-Mobile but even they went out of stock. 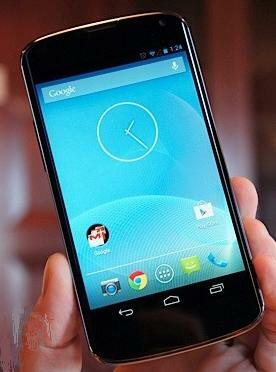 Google Nexus 4, indeed did prove to be quite a seller. Well, for all those people who badly want a Google Nexus 4, there is a ray of hope right out there. But, they will have to pay more bucks for that. U.K.'s Carphone Warehouse has got the Nexus 4 in stock SIM Free and is offering the cool smartphone online for a price of £389.95 ($621.11 USD) which is £110 ($175.21 USD) more than the price at the Google Play Store for the same exact phone. That does sound a bit expensive. But yeah, for all the Nexus 4 diehard fans, that shouldn't seem difficult right? The Google Play Store has assured of being back with the device but did not give out any details regarding when. Let me give you another place where you can go get the smartphone, that is eBAY. A seller at eBay is offering the phone at a "Buy It Now" price of $649.99. The seller has a 100% positive feedback rating and has sold 19 units so far. That is like $300 more than what the Google Play Store offered. Well, that is like a lot but this is definitely some news for all those who are dieing to own a Nexus 4. 0 Respones to "Google Nexus 4 available at the Carphone Warehouse and eBay"